As well as our extensive conservation field programmes and endangered species breeding work, ZSL is also working hard to improve the way we manage our Zoo sites to reduce negative environmental impacts and enhance ecological and social benefits. At ZSL we are focusing on six priority areas where we are working towards reducing our environmental impact. We are reducing the amount of waste which is sent to landfill – less than 3% of our waste currently goes to landfill, and we are working on reducing this even further. We also recycle over 8 different waste streams including paper, plastic, oil and batteries. We are reducing our energy and fuel consumption by installing new condensing boilers, installing energy efficient LED lighting, using electric vehicles on site and installing renewable energy systems. We are reducing the amount of water we use through improved management, fixing leaks and collecting rainwater into water butts and moats. We are promoting Fairtrade, organic, local and seasonal products in our Zoo shops and cafes, including selling only sustainably sourced fish on site. Working towards ensuring that only sustainable palm oil is used in all products we purchase including food products, animal feedstuff and cleaning products. We demonstrate green ideas to visitors with signs around the site on how to protect the environment and conserve local wildlife. We encourage local wildlife to our site with woodland areas, ponds, log piles and bird and bat nest boxes. 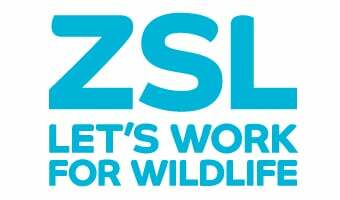 ZSL is committed to ensuring that its mission and values are reflected in the suppliers with whom it does business, and in the products and services it procures. One of the central ways in which ZSL practices sustainability is through the reduction of our electricity and water use and our waste production, which is all thanks to our estates managers. We have an ISO14001 standard Environmental Management System.